AmberFin today announced the launch of the new iCR Smart Ingest system, complementing its award-winning iCR software range. The iCR Smart Ingest system is an innovative new approach to ingesting tape-based content into IT centric workflows by combining high quality HD and SD Ingest with Automatic Assisted Quality Control in a single system. This allows tape content to be efficiently and reliably used in workflows based on central storage solutions, including SAN and NAS based architectures. 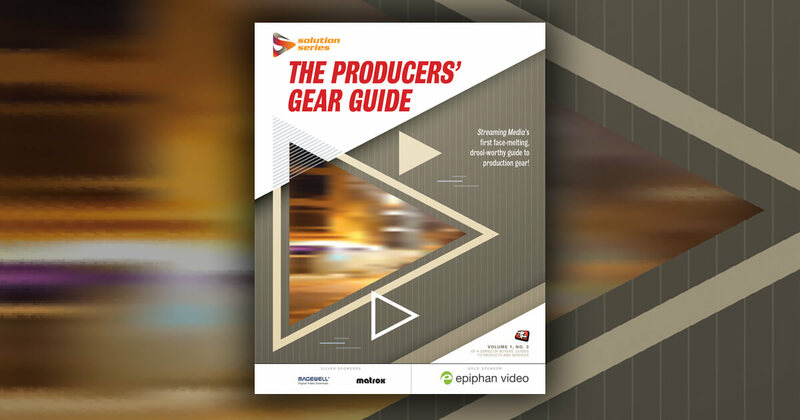 A wide range of automatic quality tests are performed on Video, Audio and Timecode, and easy-to-read reports detail the nature and position of an error with a thumbnail of the frame where it occurred. Operators can then quickly and accurately make decisions and take necessary action, saving time and money on reworks and preventing costly mistakes. Media organizations increasingly need to ingest large amounts of content to central storage and it's critical that the content stored is technically correct. In order for potential faults to be detected immediately, QC should happen during ingest so that remedial action can be taken at once. This approach avoids ingesting hours of faulty material to later discover a problem, therefore increasing accuracy and efficiency. In addition, manual QC conducted by operators during the ingest cycle is manpower intensive and prone to errors. Operators become tired or distracted, especially on repetitive tasks, and faults are often missed. Multi-channel audio is a significant problem as it may be impractical to accurately monitor the content in a single pass. Bruce Devlin, CTO, AmberFin, says: "The new iCR Smart Ingest is all about delivering real business value to our customers. Wherever practical, it is advised to perform QC as early as possible, ideally on Ingest. This reduces the cost of detecting and correcting problems in content as it moves though a facility. The iCR Smart Ingest system will deliver major time and money savings to our customers, whether they are using SAN, NAS or a wide range of proprietary Broadcast servers". The iCR Smart Ingest system is available now. AmberFin will be exhibiting at NAB 2010 in Las Vegas next month; they will be located in the Upper South hall at Booth #SU4917. AmberFin enables content owners to maximize the value of their TV, film and video content, from capture through to distribution, while increasing revenues, reducing costs, saving time and eliminating incompatibility issues. AmberFin iCR, with four-time Emmy-award winning technology, plays a key role in turning the content that owners have into the content their customers want. As an open standard, future proof platform that digitizes and transforms new and archived content, AmberFin iCR delivers the best quality pictures at smaller file sizes across multiple delivery platforms, including the Internet, VoD, TV, mobile and other small screen devices. AmberFin already has 100s of iCR systems in the field, and is trusted by some of the world's most prestigious companies including Sony, NBA, Turner Broadcasting, BT, RTM, National Geographic and Warner Brothers, managing the digitization and repurposing of their content.